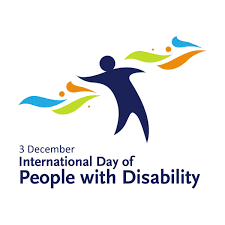 3 December is the International Day of People with Disability. It is an international observance initiative by the United Nations started in 1992 to promote a societal commitment to inclusivity through the removal of physical, technological and attitudinal barriers for people with disability. The theme for 2017 International Day of People with Disability is “Transformation towards sustainable and resilient society for all”, which serves as an overarching principle to ‘leave no one behind’ and empowers people with disability to be active contributors of society. In Australia, the 2017 the International Day of People with Disability is celebrated with a special release of a commemorative 20 cent coin and prepaid envelope presented by the Minister for Small Business Michael McCormack and Assistant Minister for Social Services and Disability Services the Hon Jane Prentice. According to the 2015 Survey of Disability, Ageing and Carers (SDAC) by Australian Bureau, one in five Australians reported living with disability. To make sure that no one is left behind in Australian society, the National Disability Strategy 2010–2020 commits all governments to a nationwide approach aimed at improving the lives of people with disability, their families and carers.